Are you from Malaysia? Maybe you are in Australia studying at an Australian University? Or perhaps you are here on a holiday? Or even, planning to come here soon? You have probably reached this page because you are undertaking some research about translating your Malay driver’s licence into English. Our Malay driver’s licence translation service is Australia’s favourite translation service – particularly for our Malay friends! Our NAATI accredited Malay translators are ready to translate your Malay driver’s licence into English right now. With many years of experience with the regulations for Malay to English licence translations in Australia, you can be sure that our translation will be 100% acceptable for use in Australia. The best news is that we have an urgent option available if you need the Malay to English licence urgently and prices start from just $69 per licence (online special price). How do I order my Malay licence translation? To order your Malay driver’s licence translation into English, simply click on this link and follow the 3 simple steps. You can view our different pricing options and choose how soon you would like to receive your driver’s licence translation. Why should I translate my Malay licence translation into English with your company? Fast service – get your translation super fast! 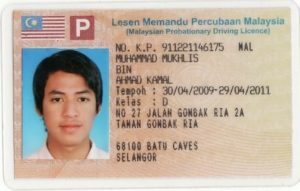 How much does it cost to translate a Malay driver’s licence into English? Our prices start from only $69 for a Malay to English driver’s licence translation. Your friendly staff made the process a breeze and I received my licence translation within 24 hours – cheers! Excellent service – would highly recommend to others for a reliable Malay to English licence translation service. Malay Licence Translations as fast as lightening! Such great prices that you won't believe your eyes!